The first woman to win The Biggest Loser — a show that premieres its fifteenth season next Tuesday, October 8th — Ali Vincent really lives up to her motto of “believe it, be it.” She has moved on from reality television to become a motivational speaker and author of Believe It, Be It: How Being the Biggest Loser Won Me Back My Life. Vincent continues to live a rich, full life with her new show Live Big with Ali Vincent on the Live Well Network. The theme of not being limited by one’s body hits home for the celebrity who, before her time on The Biggest Loser, was restricted by her own body weight — an impediment she works hard to never be constrained by again. “I felt trapped because I was ashamed and embarrassed of my body, and I collected evidence for why people were judging me or not giving me an opportunity. I realized, though, that I was collecting the wrong evidence. I didn’t have to change who I was; I had to shift the evidence I was collecting and focus on how I could get healthy and believe in myself.” Her own struggles help Vincent to identity with her guests and aid them through the hurdles they encounter. As a motivational speaker, the star advocates that there is no secret to The Biggest Loser, but that each person has everything they need to change their lives. “Who you are doesn’t have to change; who you are is great. There are some habits you have created that need to change, so you really just need to look for areas where you can make slight shifts.” She suggests that people start by setting small, achievable goals and then writing down their progress so they can be motivated by their improvement. To learn more about Vincent, visit her alivincent.com or connect with her on Facebook and Twitter @alivincent. 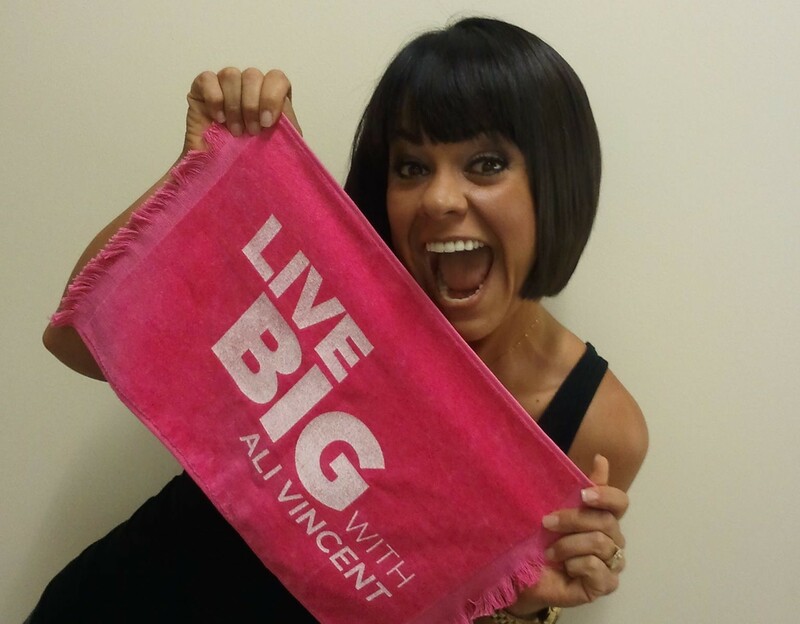 Be sure to watch Live Big with Ali Vincent Saturdays at 5:30 ET/PT on the Live Well Network!